wow time is flying by so quick I can’t believe you are 26 weeks now!! OK, so I do have a potentially daft question, but the little fruit/veg placards – are they meant to be how big your little one is at that particular week? Because if that is so, I’m pretty sure that a banana is bigger than a scallion (we call it a spring onion in the UK)!??!! I’m sooo confused! BTW – I love your stripey dress – you look fab! Your already 26 weeks?!! Geez…your bump is showing now for sure. I was thinking the same thing about the scallion picture! How strange lol. You’re definitely popping out now, and it’s such a cute bump! 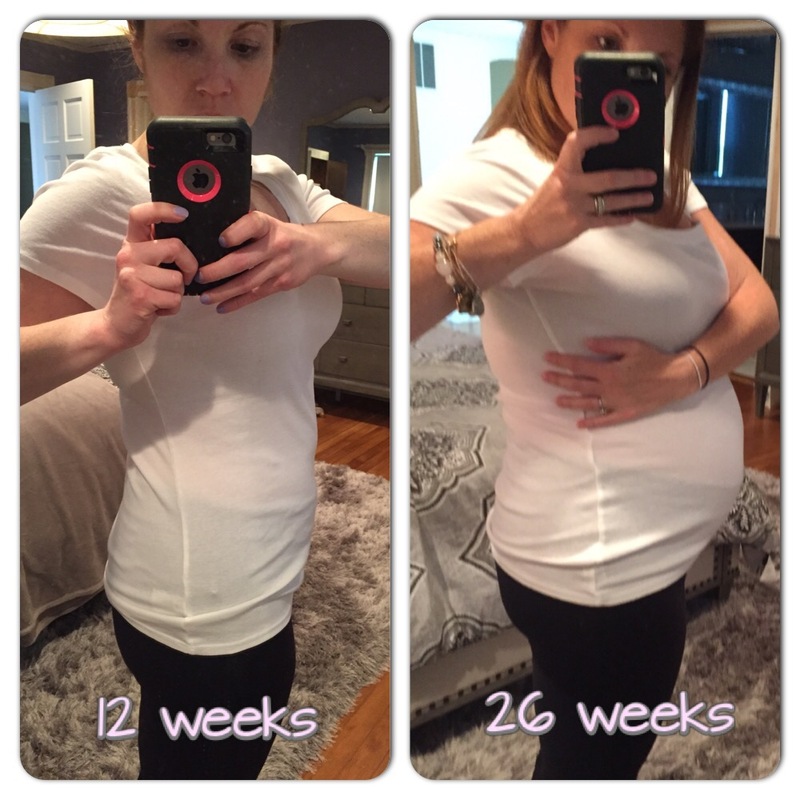 You look great and certainly have a bump! Enjoy it! Looking awesome! Can you believe we’re almost in the 3rd trimester?!? I absolutely can not!!! 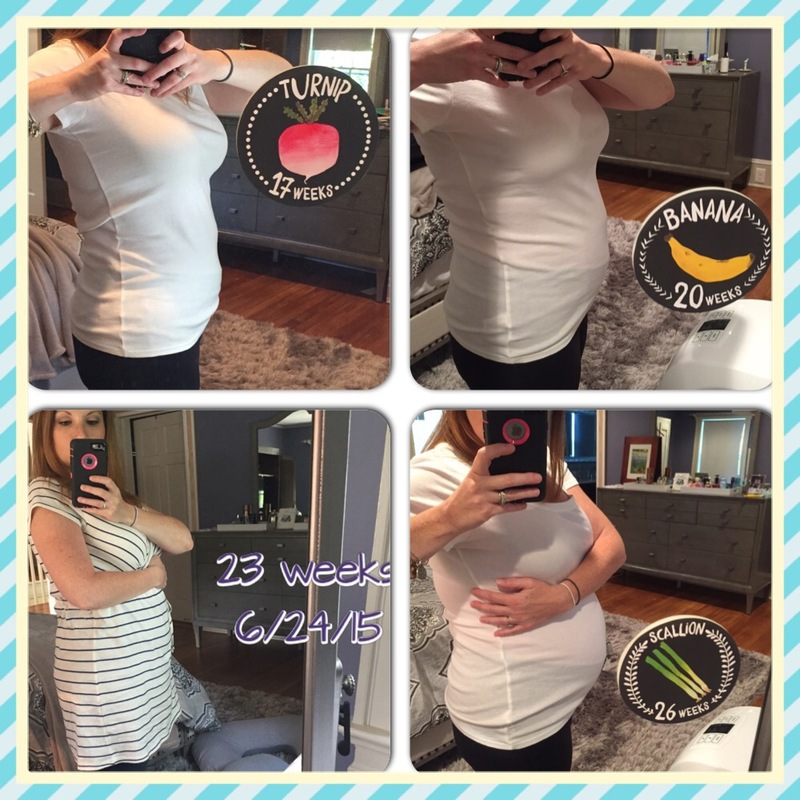 As slow as the second trimester went for me, it is still flying by!!! 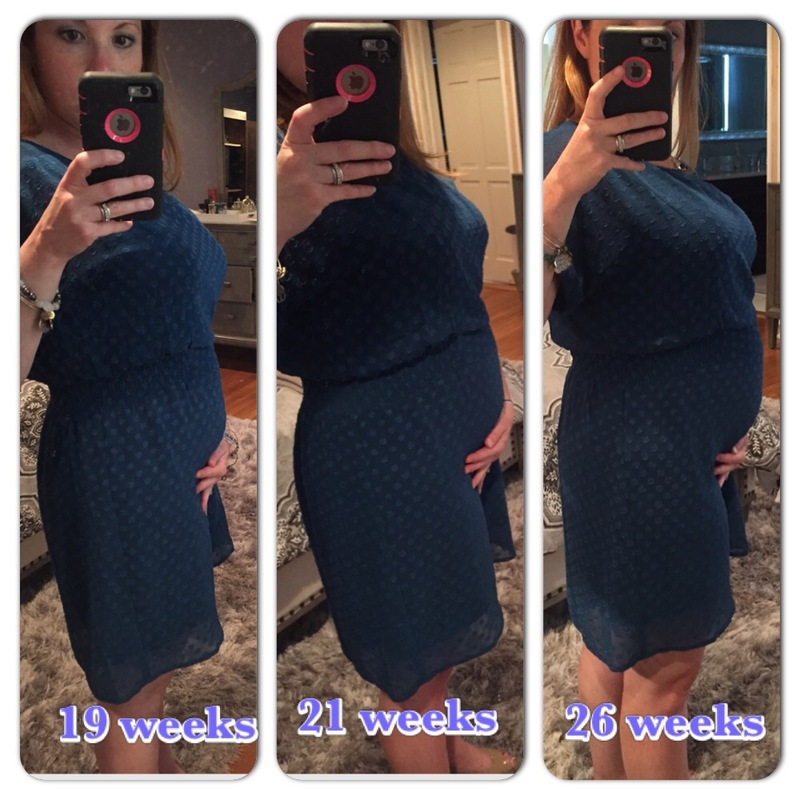 When is your due date again? You look great! I’m so excited for you!! !